← In the News: #blacklivesmatter, #Illridewithyou, TL;DR Bible Stories, and more! Does Islam need a Reformation? The question has appeared seemingly everywhere in the years since the attacks of 9/11, when radical Islam surged onto the global stage as the defining threat of the twenty-first century. Public figures like Thomas Friedman and Salman Rushdie have long argued either that an Islamic Reformation was needed or, more hopefully, in the process of occurring. More recently, one article by Cheryl Benard in the National Interest seized upon this theme in locating a possible silver lining in the rise of the Islamic State: namely, that such repulsive violence in the name of Islam may propel the world’s Muslims toward a true Reformation, to, in the author’s words, follow the Christian example by abandoning certain Qur’anic passages “as the centuries and humanity” march toward progress. The suggestion that Islam can follow in Christianity’s footsteps by selectively privileging those portions of their tradition that some Muslims deem most compatible with late-capitalist modernity betrays a deep ignorance of both the nature of the Islamic textual tradition and the historical roots of the current crisis. A chief tenet of Islam, widely accepted across sectarian divides, concerns the divinity of the Qur’an itself. Within a tradition that de-emphasized the type of wonder-working that appear in the Hebrew Bible and New Testament, the Arabic text of the Qur’an is considered Islam’s chief miracle. This gives its content an entirely different status than, say, Paul’s letter to the Galatians. We should not take this to mean, however, that Muslims are trapped in practices of textual literalism that prevent them from being full participants in modernity. Historically, there have been numerous factors, ranging from the influence of political expediency to the power of local custom, that have helped bridge the gap between the sacred text and the actual lives of Muslims. Yet even more important than either of these factors is the tradition of jurisprudence (fiqh) and the principles it long ago established for how to interpret the Qur’an’s sometimes enigmatic passages. The suggestion that Islam can follow in Christianity’s footsteps by selectively privileging those portions of their tradition that some Muslims deem most compatible with late-capitalist modernity betrays a deep ignorance of both the nature of the Islamic textual tradition and the historical roots of the current crisis. These include foundational principles (usul al-fiqh) that govern the acts of Qur’anic exegesis, without which no authoritative legal rulings can be generated. For instance, one cannot issue a judgment on a particular issue without consulting all of what has been said about it within the Qur’an and the hadith (sayings attributed to Muhammad). Because the Qur’an, like the Hebrew Bible and New Testament, contains passages that seem wildly contradictory, this means that jurisprudence has traditionally entailed acts of textual reconciliation that are far more complex than a simple reading of any single verse might suggest. The Islamic hermeneutic tradition also requires familiarity with the “conditions for revelation” (asbab al-nazul) for each verse, as some are considered historically limited to Muhammad’s Arabia rather than general commands for all times and places. Beyond these interpretive guidelines, there is a tradition of abrogation in Qur’anic exegesis in which certain verses are understood to overrule others. And we haven’t even mentioned the centuries of commentary that established judicial precedents that impact how contemporary rulings are decided. Oh, and by the way, these commentators don’t necessarily agree with one another on any given matter. If this sounds awfully complicated, that’s because it is. To suggest otherwise is not just foolish, it’s actually quite dangerous. In fact, the current wave of Islamic extremism exemplified by ISIS is not the product of too great an emphasis on the practice of jurisprudence and the tradition of shari’a—possibly the most misunderstood word in America today—but rather of their neglect. Understanding why this is requires taking stock of a number of factors: the decline of Islamic education over the last 150 years—occasioned by the desire to nurture secular schooling in order to compete against European military and economic might—and the growing illiteracy in the Islamic textual tradition that resulted; the attempt to codify Islamic law by both colonial powers and post-colonial states, which, as the preeminent scholar of Islamic law, Wael Hallaq, has argued, has made shari’a substantially less responsive to local circumstances and more focused on punishment than ethics; the rise of mass literacy in Arab societies and the proliferation of translations of the Qur’an in other societies enabling unprecedented access to (though not necessarily deep understanding of) the sacred text; the rise of mass politics and a class of leaders who are not well-trained in conventional Islamic teachings, though certain that Islam’s past greatness can somehow be revived; and the creation of new channels of communication, ranging from the cassette tape to the social media platforms so favored by ISIS, that offer just about anyone with web access the opportunity to opine on what is and is not Islamic. The argument here contains numerous moving parts whose points of connection become most evident by considering two contemporary responses to ISIS: one calling for the overhaul of Islam, the other attempting to combat radicalism from within the framework of shari’a itself. Let us first address those who believe an Islamic Reformation is long overdue. Writing for National Interest, Cheryl Benard begins her aforementioned article by recognizing that all religious traditions contain “multiple injunctions and sanctioned behaviors that shock us today.” However, she goes on to claim, “Judaism and Christianity have adapted their religions to changing mores by tacitly ignoring those passages that no longer fit the times.” This may sound plausible, but the elision here between the Jewish and the Christian only works if you ignore the entire Jewish legal tradition, which, though sharing many features with that of Islam, has no parallel within Christianity. Luckily for wayward and defiant sons everywhere, Jews, for almost as long as we have a historical record, have not lived their lives in accordance with the literal text of the Torah—and not simply because they embraced allegorical interpretations. Rather, any attempt at textual literalism has been definitively mitigated by the juridical wrangling of the Talmud. With regard to the passage quoted about, the Talmud in tractate Sanhedrin features a discussion in which the definition of what constitutes rebelliousness is so restrictive—e.g. that the son must be of a certain age, that he must have eaten meat acquired cheaply, that the act must involve stealing from the father and consuming the meal in the home of a stranger—so as to almost certainly never be met. You may think that all this legalistic hair-splitting is arcane and senseless, and that it is better to work against engrained systems rather than within them. In the case at hand, this argument may warrant consideration if we are speaking, as mainstream discourse tends to do, of Islam as a religion composed of certain beliefs and ethical practices that provide the individual with a sense of spiritual meaning. However, actually understanding how the Islamic State has emerged requires breaking out of this naturalized, Christian way of thinking about religion and instead considering Islam as a legal system, shari’a as a tradition of hermeneutics, and jurisprudence as its core “religious” practice. Might not this deeply engrained legal tradition have some bearing on Islam’s modern evolution? In short, if we approach Islam this way, would it make sense for an Islamic Reformation to proceed in the same fashion as the Protestant one, or might the same practices—the attack on institutional authority, the promotion of unmediated, individual reasoning, etc.—produce a radically different outcome? This kernel of an idea—that a man’s actions are irrelevant to his salvation, whereas the truth of his faith is paramount—is completely foreign to a religious tradition built upon law, such as Judaism or Islam. More speculatively, there’s an argument to be made that Luther can grant the Christian an incredible amount of religious freedom because that freedom is limited, by definition, to the realm of faith. Here it is useful to recall Luther’s chastisement of the Swabian peasants who, claiming inspiration from his own writings, rebelled against their lords and princes. The freedom of the Christian, as Luther reminded them, does not apply to the external world of temporal concerns. In short, we arrive at an ethical system in which matters of individual belief are quite necessarily individual. Yet we do not grant individuals the same amount of interpretive latitude when it comes to outward matters that impact others, but rather, look to laws, legal precedents and individuals with specialized legal training to establish and maintain a social order. To give an example from our own legal framework, most of us would never choose to disregard years of judicial rulings and govern the United States with only the text of the Constitution. Similarly, no sane person would want to live in a society where individuals are encouraged to interpret and execute the law for themselves. It would undoubtedly produce anarchy, the complete breakdown of authority and probably give rise to acts of senseless violence. In other words, it would look a lot like the Islamic State. And here we can start to discern the real problem with calls for an Islamic Reformation. The religious fundamentalism of ISIS and its cohort is not evidence that Islam needs a Reformation, but that one has already occurred. There was, after all, no logical reason to believe that an Islamic Reformation would follow the same historical trajectory as the Christian model, which was rooted not merely in a specific time and place, but in a unique conceptualization of the relationship between religion and law. In contrast, both historical examples and common sense would indicate that juridical traditions evolve most successfully within the structure of legal disputation. Yet, over the last two centuries, it is precisely this tradition of Islamic jurisprudence has been progressively weakened by attacks from Muslim reformers, colonial governors and, more absurdly, the state of Kansas. The religious fundamentalism of ISIS and its cohort is not evidence that Islam needs a Reformation, but that one has already occurred. Focusing on the first group here, as writers including Ali Eteraz, David Kelley, and even Reza Aslan have noted over the last several years, we need look no further than the Arabian peninsula to locate Islam’s Luther. If we want to find someone who undermined the institutional authority of Muslim clerics in favor of the individual’s right to freely interpret religious doctrine, Abdel Wahhab, the ideological forefather of Saudi Arabian Islam, certainly represents a formidable contender. Abdul Wahhab was hardly the only modern figure to argue that the “gates of ijtihad” remained open, and what is striking is how this posture has generated some of the most puritanical interpretations of Islam and the most liberal. Another famous reformer who embraced ijtihad as central to Islam’s future was the Egyptian scholar, Muhammad ‘Abduh. He similarly turned away from judicial precedence and placed renewed emphasis on the text of the Qur’an and sunna (the words, habits and actions of Muhammad) as the only true sources for deriving legal rulings. Yet unlike his Saudi counterpart, he did so in support of women’s education, religious pluralism and the advance of the modern sciences. There was a tension, however, present in this reformist platform, the nature of which remains instructive. On one hand, ‘Abduh followed in Abdel Wahhab’s footsteps by condemning heterodox local practices and Sufi customs, and thereby attempted to centralize control of religious knowledge in the hands of select members of the ‘ulema who alone claimed the capacity to understand the true nature of Islam. Yet on the other hand, he embraced the use of ijtihad as a means to accommodate Islamic practice to contemporary needs and recognized that any educated individual could theoretically be a mujtahid. In Indira Falk Gesink’s words, this effectively meant, “legal authority on religious questions would no longer reside in the hands of the scholars, but would be possessed by ordinary individuals.” Conservative members of the ‘ulema rightly pointed out that the displacement of legal rulings into the hands of each individual would mean the undermining of judicial precedent and with it, the entire structure of shari‘a. Muhammad ‘Abduh clearly never envisioned a world in which ijtihad would be practiced by the masses or the Sufi sheikhs and village imams with whom they associated. At the time of his death in 1905, the literacy rate in Egypt is estimated to have been in the low single digits. Yet over the following decades, literacy expanded dramatically with the creation of new public school systems in Egypt and across the Middle East. To compress a much more complex story into a few sentences, the new Egyptian public schools featured standardized curricula and textbooks that were devised by centralizing bureaucrats intent on “putting Islam to work,” as anthropologist Gregory Starrett has coined the process. While this meant that schoolchildren were still learning about Islam, the instrumentalization of religious knowledge meant that what they were learning lacked much of the energy and local diversity that existed in the past. On one hand, this meant Islam was increasingly boiled down to certain orthodox elements that every pious Muslim was called to believe. School texts from the interwar period are instructive in this regard, inviting the student to read a certain passage from the Qura’an or hadith, and then didactically providing its “correct” interpretation. Not surprisingly, curricula displayed a marked preference for those portions of the Islamic textual tradition that could be best mobilized in the service of the modern state. This occurred not merely in Egypt, but in Palestine, Transjordan and Iraq as well. It is worth noting the British colonial presence in each of these countries. As I have argued elsewhere, the interwar years there were characterized by an expansion of public schooling in which religious instruction in the Protestant mode played a central part. Take, for instance, the syllabus for Palestinian public schools published in 1921: “The Qur’an should be the source of authority in deducing doctrines, ritual, moral axioms, and civil transactions.” Elsewhere the curriculum stressed the usefulness of the Qur’an in helping students achieve literacy, and spoke of the need to develop in the population a “habit for rapid silent reading.” Whereas the Qur’an was typically a text that was memorized and recited in social settings or, in anthropologist Brinkley Messick’s terms, embodied, a new generation of educators dismissed this practice as pedagogically backward. True comprehension, it was assumed, could only be attained by sitting down and reading a text in quiet solitude. All of this brings us to the present, to ISIS, its leadership and the crisis engulfing the Middle East today. Abu Bakr al-Baghdadi, the leader of the Islamic State and the self-appointed Caliph of Islam, claims to be a graduate from the Islamic University in Baghdad (today the Iraqi University). In what is likely purposeful ambiguity, his biography implies he received a Ph.D. without actually stating so: “he studied in the university at all levels (Bachelor, Masters and Doctorate).” It’s impossible to deduce the exact nature of his educational experience in the university, which was only founded in 1989, but it is certainly not a known leader in the training of ‘ulema. The fact that al-Baghdadi uses his university experience to shore up his religious credentials ultimately testifies to the shift away from traditional institutions of Islamic learning and the type of knowledge they offer. It is connection to this upheaval in religious authority that we should consider a second and entirely different response to ISIS: a 17-page open letter to al-Baghdadi that was issued by Muslim leaders in late September. A powerful rebuke, the letter is signed by 126 scholars, intellectuals and Muslim leaders from countries as diverse as Egypt, Uzbekistan, Morocco, the United States and Indonesia, many of whom are prominent members of the Sunni ‘ulema. What is most noteworthy for our purposes is the type of rebuttal this is: it is not grounded in a liberal discourse of universal human rights, nor does it echo Obama’s attempt to distinguish between ISIS and true Islam (a slippery theoretical slope when combatting a group that persecutes Muslims based on similar logic) or follow the Saudi course of action and declare ISIS modern-day Kharajites. Rather, this is a legal disputation that operates within the boundaries of Islamic jurisprudence and showcases the dangers of an Islamic Reformation in the Protestant mode. The document opens with an Executive Summary, the first points of which are as follows: 1. It is forbidden for an individual to issue legal rulings (fatwas) without the necessary qualifications, and fatwas must conform to the rules of “Islamic legal theory as defined in the Classical texts.” 2. No one who lacks mastery of the Arabic language may issue legal rulings. 3. It is impermissible to oversimplify shari’a and “ignore established Islamic sciences.” 4. “It is permissible in Islam [for scholars] to differ on any matter, except those fundamentals of religion that all Muslims must know.” The rebuttal therefore begins by calling attention to the requirements of legal training, the importance of judicial precedence and the heterogeneous nature of shari’a, all factors that mitigate the untrained individual’s capacity to simply read the Qur’an and decide for him or herself what it means. On issue after issue—the establishment of a Caliphate, the mutilation of the dead, the treatment of women and children, the massacre of non-Muslims, the use of coercion and the killing of innocents—the letter condemns ISIS from within the juridical framework of Islam itself. And herein lies the tragedy of this rebuttal, which no doubt required substantial effort to produce: such an argument will be of little use in tackling a group that has so explicitly disconnected itself from the tradition of Islamic jurisprudence and rebelled against the established sources of religious authority. And indeed, Abdel Wahhab did more than any other modern figure to advance the practice of takfir, a stance that required a break with the established Sunni precedent. This brings us to the oft-noted irony that Saudi Arabia, America’s strongest Arab partner in the fight against ISIS, is similarly devoted to Abdel Wahhab’s “protestant” approach to Islam and in particular, his rebellion against jurisprudence. The distinction, of course, is that, since the dawn of its modern statehood, Saudia Arabia has been deeply invested in reconstructing an authoritative institutional structure in order to monopolize the discourse about Islam and ensure its compatibility with the whims of the ruling dynasty. This is no doubt why the Kingdom has denounced ISIS in terms that differ significantly from those evident in the open letter to al-Baghdadi: they are not sinful or misguided Muslims in need of rebuke and correction, but Kharajites who are outside the boundaries of Islam. It is the anxious response of a Kingdom looking its reflection in the eye. Yet at the end of the day—having taken note of these “protestant” challenges to the tradition of Islamic jurisprudence, the changing nature of education and the spread of mass literacy—the rapid growth of ISIS would be impossible without the thoroughly modern means of communication on which it relies. There is, of course, something egalitarian about media forms that allow individuals to share views that might otherwise never find their way onto mainstream platforms. At the most basic level, social media allows one to circumvent those traditional sites of authority that govern whose voice can be heard by the masses. However, with regard to Islam, the use of such media both reflects and contributes to the decay of institutional powers that historically decided who was qualified to issue legal judgments or offer religious guidance. It is tempting to view this as a battle between the old guard and the young generation, and this image is not entirely off. 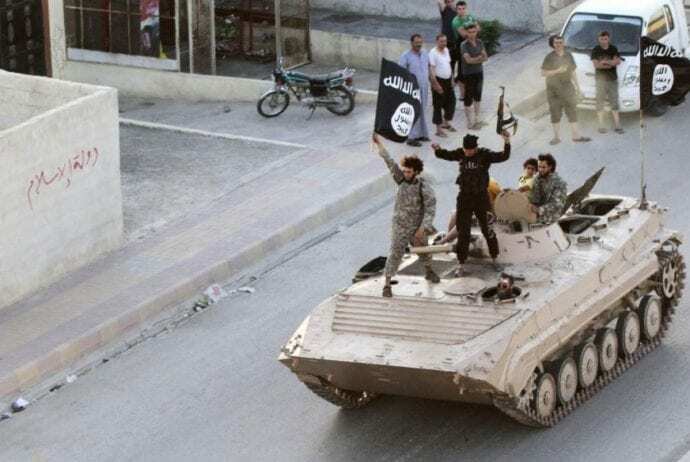 Against the cautionary scolding of ‘ulema who warn that the waters of Islamic law are deep and treacherous for those without proper training, ISIS offers recruits a chance to jump right into the waves, automatic weapon in hand. If ISIS recruiting videos sometimes resemble a particularly violent spring break—young, angry men gone wild—it is because its leaders are skilled at appealing to a generation of Millennials that combines an ingrained skepticism against authority with bleak economic prospects and a preference for consuming information in 140 characters or less. Combine this human material with the assurance that Islam is simple and scholars are useless, and you have the elements for a perfect storm. Yet, while many ISIS recruits are young, it would be wrong to view its success as stemming merely from the failure of Millennials to appreciate nuance or respect their elders. The battle underway is not primarily between the young and the old, but between radically different approaches to understanding Islam: one that stresses proper legal training and respect for judicial precedent, and one that urges Muslims to open their Qur’ans and decide for themselves. The Reformation, you see, is already here. It just doesn’t look like we hoped it would. A brilliantly illuminative essay, perhaps the best on the subject. Thank you, Suzanne. There are simplistic reductions of thoughts on all sides, and to a large extent you are arguing against the weakest version of this particular argument. There are textual literalists on all sides, however the principle above is not too different from the idea that ‘scripture interprets scripture’ which is common currency in most conservative Christian circles. Furthermore, a number of the people originally making the argument that Islam needed a ‘Reformation’ were actually thinking of the Enlightenment which accompanied it, specifically that Luther’s call to go ‘ad fontes’ eventually led to the growth of Higher Criticism and other forms of textual analysis which morphed the background over which even more conservative interpretations had to operate. Bravo! I should add here that higher criticism of the Bible can also be interpreted a form of fundamentalism. Some archeologists would kill for certain findings…so making holy scripture scientific can be very not enlightened. A gun held by a soldier is used for protection of country, while the same weapon in the hand of a criminal brings in anarchy, insecurity and lawlessness in the society. Look, weapon remains the same, while a mere change of hand (soldier to criminal) means many things. Islam does not need reformation as it is a progressive religion and will remain progressive. Some crooks and criminals are just earning a bad name to Islam and they need to be fixed appropriately. Suzanne, thank-you for this thoughtful contribution to the roiling debate over Islamic reformation. Before I raise a few queries, I’ve summarized as best I can below so as not to misconstrue your original points. 1) By your own admission, trends like literacy and generational proclivities have aided the shift in power away from Islamic scholars. Surely rolling back to a system where the ‘ulema can deliberate away and reach a state of Judaism-like modernity is difficult given these trends, if not impossible? 2) Do we really have the time for an internal approach, no matter how successful it may be in the long-term? Deliberations do not take place overnight and, in the meanwhile, the Muslim world is the source of much suffering including, but not limited to, a lack of women’s rights, death for apostates, honor killings and religious intolerance. Waiting for the esteemed ‘ulema to “come around” to modern religious freedom and other basic civil liberties is a very real consideration in any proposed solution, assuming they are successful. 3) You brought up the “powerful rebuke” of ISIS by Sunni ‘ulema based on religious disputation, which is really a perfect experiment to see if working from “within” is effective. What we see is that the vast majority of Muslims disagree vehemently with ISIS and could not care less about the potential re-emergence of a Caliphate (major social surveys verify this). Disturbingly, however, we know that recruits are pouring in to bolster ISIS ranks (likely Millenials, as you correctly point out). This leads to an inexorable conclusion: that working within a jurisprudence framework may mellow Islam (over time) but it only takes 1% (of 1.5 billion Muslims) to adopt a virulent strain of the religion to really create havoc. Basically, working from within as you suggest may be too slow and not the panacea you make it out to be. This is a thoughtful, and well grounded analysis. You rightly, in my opinion, trace the current turmoil in the Islamic world to its roots in the “modernization” efforts in education during and after colonization. You note the rise of islamic leaders endued with western education in the rise of “islamic movements” including al quaida and ISIL or daish as they are called by Muslims. I appreciate the acknowledgement that these movements are by no means returns to “traditional Islam” but rather a :”protestant” movement encouraging simplistic “self-interpretation” in opposition to reliance on scholarly interpretation of the Quran and Sunnah.